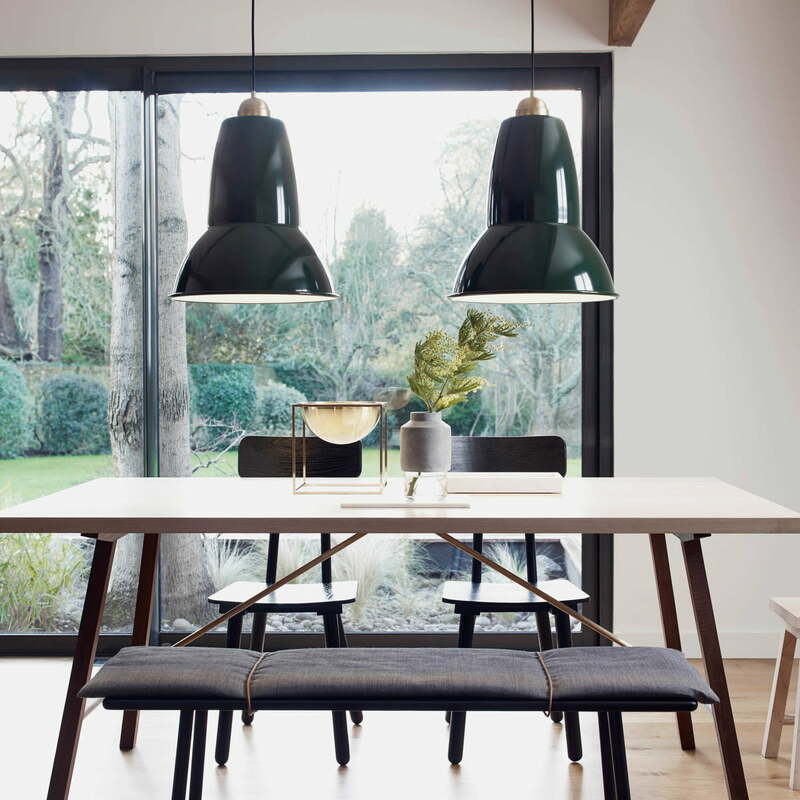 The Original 1227Giant Brass Pendant Lamp from the British tradition company Anglepoise is part of the eponymous collection. Inspired by the today legendary Original 1227 desk lamp by George Carwardine, the ceiling lamp features the same timeless, classic design and the high-quality choice of materials. The gloss-finished shade, consisting of steel, is complemented by a fine brass fitting and an authentic textile cable making the suspension lamp an overall coherent design. The extensive, spot light that emanates from the shade’s white painted inside, emits well reflected, neutral light on the underlying surface. The Original 1227 pendant lamp in Giant size alone or grouped in the series makes for an excellent lighting above the dining table. The Original 1227 pendant lamp is part of a varied collection and is available in various colours. Image of the Original 1227 Giant brass pendant light in the colour elephant grey. Inspired by the today legendary Original 1227 desk lamp, the suspension lamp features the same timeless, classic design. Image of the Original 1227 Giant brass pendant light in the colour deep slate. Grouped over the dining table, the luminaire ensures an optimal directed illumination.